So you decided to stay out late and drank a few more rounds than you originally intended? We’ve all been there. Unfortunately, there is no panacea for alcohol hangovers that gets rid of all the painful side effects. Fortunately, there are multiple ways to alleviate the pain to help you get through the next day without requiring you to stay in bed all day. Alcohol is, despite how acceptable it is in our society, essentially a poison to your body. When consumed above recommended guidelines, alcohol can wreak havoc on your entire system. Here are some of the symptoms that result in a hangover. Alcohol is a diuretic, which means it will cause you to urinate more. Through frequent urination and possible infrequent water intake, you will more likely end up feeling dehydrated, which will lead to suffering from headaches and a dry mouth the next day. Alcohol is well known to cause irritation to the stomach and intestinal lining by raising the levels of stomach acids. Even a one night bender can result in inflammation that will leave you feeling nauseated the next morning. Even drinking just a small amount of alcohol causes an increase in insulin secretion, which results in lower blood sugar levels. This can cause overall physical weakness, tiredness, and mood issues such as depression or anxiety. Alcohol disrupts your body’s ability to engage in a restful night’s sleep by interfering with REM sleep. This is usually why you wake up not feeling quite right the morning right after a heavy binge. Your body’s immune system becomes sluggish after drinking alcohol in excess. This sluggishness can result in an overall feeling of being unwell and may make you more susceptible to illness. 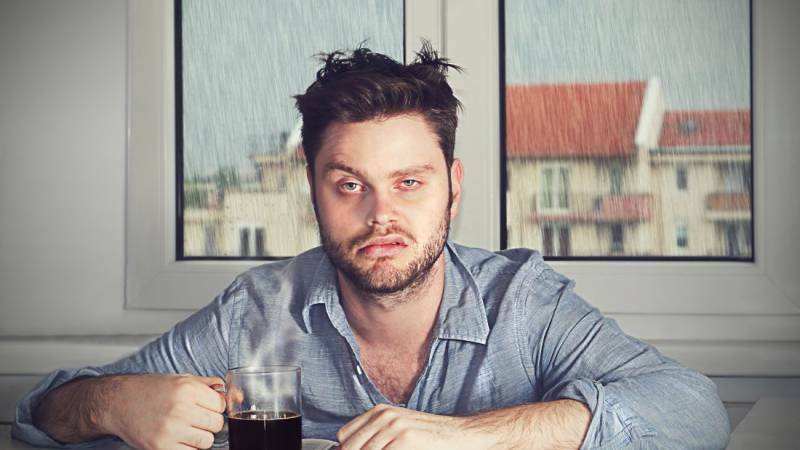 The most effective way to cure a hangover is to prevent it from happening in the first place. But, let’s be honest, you’re not reading this article to have a finger wagging at you for the mistake you’ve made. You’re already suffering enough. Here are some helpful tips for when you decide to go back out and drink again in the future. Not only will this keep you hydrated, but it will also help prevent you from drinking too much alcohol in a short time span by having more fluid in your stomach. Mixing liquor with soda water will increase the volume of the drink, which will make you take more time to consume it. Taking regular soda out of the equation will get rid of all that extra sugar, which might make you end up feeling sick the next day if you have too much. Drinking on an empty stomach is not a good idea since alcohol messes with your blood sugar and stomach acid levels. Eating a healthy meal full of fiber and essential fats prior to drinking will keep you satiated longer and make you less likely to experience negative symptoms the next day. Research has shown that drinking alcohol to relieve hangover symptoms is a myth and will just make things worse by prolonging the hangover. While getting plenty of rest is essential for recovery, sometimes reality will keep you from being underneath the covers all afternoon. Drinking plenty of liquids and eating healthy foods can be enough to stave off the pain to help you get through your day. You should avoid taking over the counter pain relievers like acetaminophen or ibuprofen since they can cause further damage to the stomach lining and liver, which can result in nasty repercussions down the road like stomach ulcers or cirrhosis. Instead, try these helpful healthy drinks and foods. While it is common knowledge that you need to drink water to alleviate a hangover, not many people know of the benefits that coconut water can have on your body. Containing more electrolytes and less sugar than most other sports drinks and fruit juices, coconut water has proven to be very effective with replenishing your body’s need for vitamins and fluids. Coconut water is easy on the stomach, so it can be consumed right when you wake up and need to be on your feet. Ginger tea is widely used to help with motion sickness or nausea. Try adding honey or lemon to give it a little more flavor and further ease stomach pains. Ginger ale works as well, but tea tends to be more preferred due to the soothing nature of drinking warm water. Although PediaSure is mainly used to help kids gain healthy weight, the drink is packed with enough protein and essential vitamins to help combat your hangover. This drink is especially good if you need the caloric intake for energy, but you can’t quite yet stomach solid food. These fruit juices provide your body with fructose, which can give you an instant boost in energy while giving you vitamins. Stay away from citrus juices like orange juice since their high acidity can further irritate your stomach lining. Apart from being a recommended staple in everyone’s diet, eggs are full of protein and amino acids that can greatly help with returning your body back to normal. Studies have shown that the amino acids in eggs can help boost liver function and break down acetaldehyde, which is the chemical that causes headaches that comes about when the liver breaks down alcohol. Yogurt without any added sweeteners or sugar is recommended for rebalancing your gut bacteria with probiotics. It also contains a fair amount of potassium, which is an important electrolyte that is lost through heavy drinking. Bananas are great to consume when you are feeling queasy because they are easily digestible and contain a lot of potassium and other vitamins. Soup broth, like chicken noodle soup, contains enough sodium and water to help replenish the body. Soup broth is used as a remedy for all types of ailments due to how easy it is on your stomach. Avoid tomato based soups since the acidity of tomatoes might exacerbate your stomach issues. A bowl of oatmeal is great for stabilizing blood sugar levels while providing your body with much needed iron, magnesium, and B vitamins. This satiating food can neutralize the acidity in your stomach and help aid in digestion.